Here’s a great Thorpe Park Tip for those looking to save money on Thorpe Park tickets this year. Did you know that you can save up to 40% off standard price tickets when you book online in advance? With tickets priced from just £33pp, online bookings also guarantee entry into the park & allow you to bypass the queues at the ticket booths. Look out for a nifty FREE ticket bad weather guarantee too that runs at select times of the year, (more details below). Good to know that Kellogg’s has teamed up with Thorpe Park once again this year to offer 2 for 1 vouchers that are valid at Thorpe Park until 30 June 2020, (some restriction on dates). This deal has the added advantage of allowing you to book, via a special online link, when you pre-pay for your FULL PRICE accompanying ticket. More information available at 2 for 1 Vouchers for Thorpe Park. 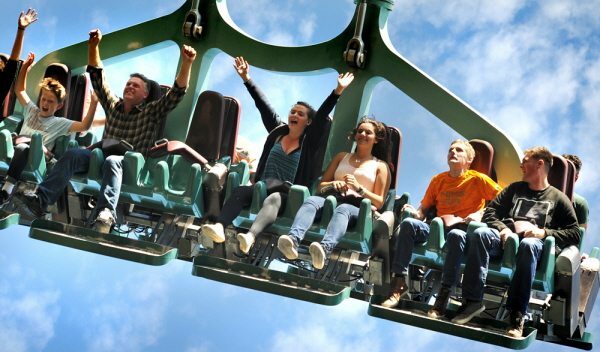 Thorpe Park runs an attractive bad weather guarantee, (known as an Island Return Guarantee), that offers you a FREE return trip if bad weather affects the ride offering for an hour or more. Only those that book online with Thorpe Park are eligible for this free ticket offer that runs at select times of the year. 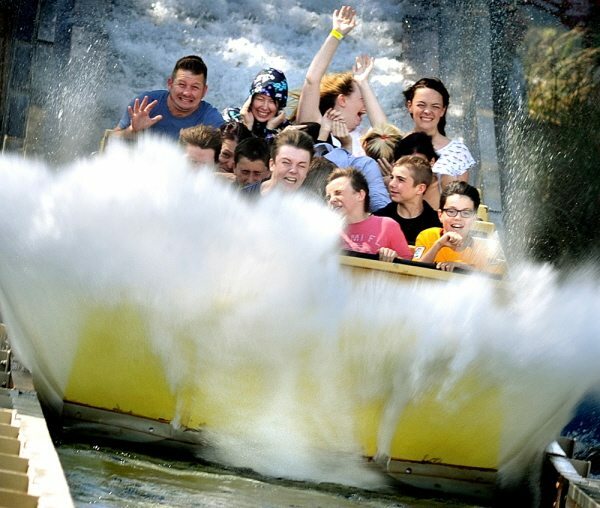 TO BOOK GO TO Thorpe Park Tickets from £33pp – Island Return Guarantee. Thorpe Park teams up with The Sun newspaper each year to offer 2 FREE tickets to Thorpe Park. This is a great way to enjoy complimentary access to the park, rides & attraction but remember to follow the application process to the letter. This newspaper promotion tends to run each April/May so we’ll update you with more information in due course. Take advantage of this combined ticket & meal deal offer from Attractiontix from just £39pp. As well as your theme park ticket, meals include a hot dog, fries & a drink or upgrade unlimited drinks, 2 day tickets or Fright Night tickets. Extend your break by an overnight stay on-site at the Thorpe Shark Hotel that comes with a FREE second day at the park plus an Unlimited Fastrack Pass until 11am. This a great way to bypass the queues on your second day with fastrack access to all available rides until 11am. Alternatively consider options to stay further afield with great discounted combination packages running throughout the season. Regular Tesco shoppers can pick up both 1 day tickets and standard Merlin Passes that are valid at Thorpe Park. These loyalty deals offer great savings on entry into the park plus access to the rides & attractions. Remember to redeem your vouchers before you visit to take advantage of this offer. Look out for second day tickets to Thorpe Park from just £4pp. Previously we came across deals for later in the season but this is now a next day promotion only but a great way to extend your break for very little. Simply add a second day when you book online or upgrade at the park on the day PLUS a nifty free parking perk that most people don’t know about! LOOK OUT FOR OUR Thorpe Park Guide packed with top tips to beat the queues plus money saving ideas to help you make the most of your visit! This entry was posted on Friday, March 1st, 2019 at 8:24 am	and is filed under South East, Thorpe Park. You can follow any responses to this entry through the RSS 2.0 feed. You can leave a response, or trackback from your own site. Can I use 2 for 1 vouchers for Saturday 1st November 2014. Otherwise, is there any other discounts available for this day? Hi Sean, Thorpe Park have now announced that only pre-booked tickets can be used for Fright Nights from 30 October – 1 November so the only deal open to you is by booking online with Thorpe Park and taking advantage of online discounts. I’m planning on going to thorpe park on Sunday 19th of this month, I know it’s a fright night and I’m not sure if my kelloggs adults go free voucher is valid on that particular day? Hi Kelly, yes the 2014 Kelloggs Grown Ups Go Free voucher is valid at Thorpe Park on 19 October but NOT valid 30 October – 2 November 2014. Me and 6 other of my friends are planning to go Thorpe Park Fright Night, we have the 2 for 1 kellogs discount, can we still use it this month??? The 2015 Kelloggs Grown Ups Go Free Voucher are NOT valid from 30 October to 2 November but can be used at earlier Fright Night dates at Thorpe Park. 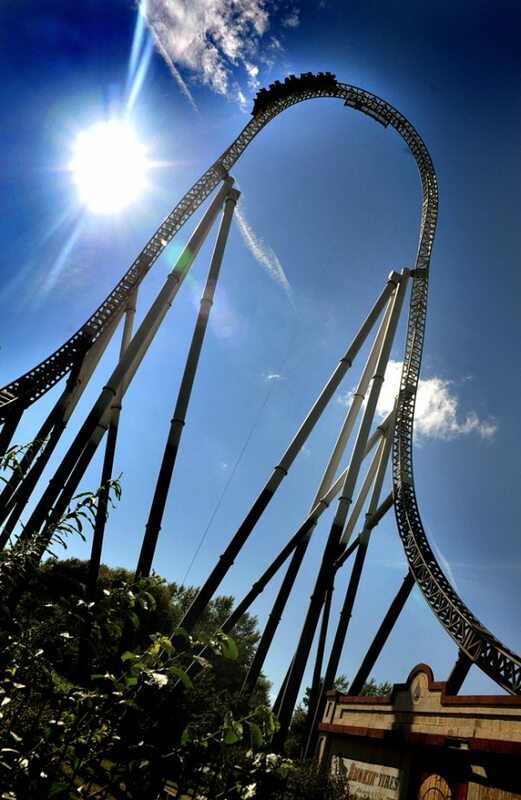 Myself and a friend are planning to go to Thorpe Park on 10th September 2014. However, everyone is telling me there are various different deals to get the cost down on tickets.. 2 for 1 being the most common! I am struggling to find any such deal.. Can you advise, what would be the best way for us to get the cost down or to get a voucher? Hi Jamie, there are plenty of 2 for 1 vouchers available for Thorpe Park but many exclude Fright Nights so it is important to check the full terms & conditions. However both the Kelloggs Grown Ups Go Free voucher & the Walkers half price vouchers on single promotional packs are valid at Thorpe Park on 10 September. Are the Kellogg’s adult go free valid on the 18th October 2014? Hi am planning to come to thrope park on02/09/2014.two adults and three kids .my first child is nine and secondchild is seven.but my baby is nine months old .is the baby free entry.plus i got two 2-1coupen .can i use the coupen on the day. Hi, children under 1 metre can enter for free at Thorpe Park so worth checking the height of all your children. If you need to pay for 2 adults & 2 children, ensure you have 2 vouchers with you as they stipulate one voucher per person & per transaction. You can use the Kelloggs Grown Ups Go Free Voucher or the Walkers Half Price voucher at Thorpe Park on 2 Sept 2014. I need a 2 for 1 voucher for Thursday? H Wendy, perhaps easiest to pick up a promotional packet of Kelloggs cereals for their Grown Ups Go Free voucher that you can use at Thorpe Park. You can look through the full list of 2 for 1 vouchers over at Vouchers for Merlin Attractions. Hi Shaifur, your best bet at the moment would be the ‘Adult Go Free’ voucher on promotional packs of Kelloggs cereals & cereal bars that offers 1 adult free entry when accompanied by a full paying adult or child. More details available at 2 for 1 Vouchers for Merlin Attractions. With this 2 for 1 voucher, you will need to be accompanied by a full paying adult. The full paying adult cannot take advantage of any discount, concession or online offer and must pay the full on the gate price on the day of your visit to Thorpe Park, (£43.20). This 2 for 1 voucher can only be used by the named individual on the 2 for 1 voucher and you may have to show your valid Tesco Clubcard/proof of ID at the ticket booth.